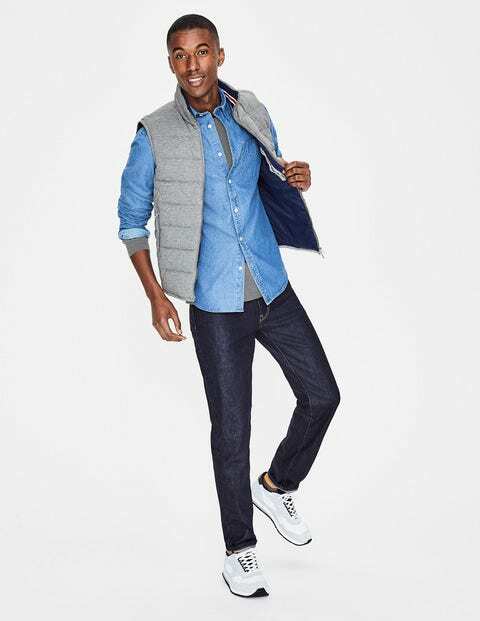 Layer up in this wear-with-anything cotton jersey gilet. The lightweight padding, full-length zip and stand collar give it a sporty look for a wintry walk, while the close fit sits snugly under your coat. It comes in a subtle grey marl colour with accent metalwork and has a striped rib detail inside the neck collar. There are patch and snap-popper pockets on the inside, and useful zipped pockets on the outside for essentials (and hands, on chilly days).